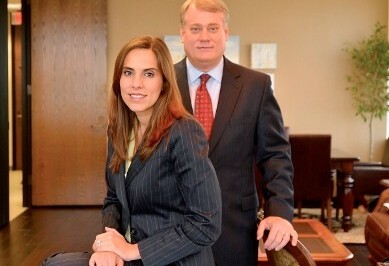 Mitchell Sanchez is a partnership between attorneys Jeffrey A. Mitchell and Monica C. Sanchez. Monica Sanchez is the managing partner of the firm and has more than 12 years of experience as an attorney. Ms. Sanchez, who is bilingual, was recently recognized by the National Hispanic Bar Association as one of the Top Attorneys Under 40 years of age. Only 5 attorneys nationwide received this distinction. She has also received the Leadership in Law Award for the last two years. This award is given to the top 50 attorneys by a leading trade newspaper, New Orleans City Business. She was the only Hispanic Lawyer given this award. Ms Sanchez has also been recognized as one of the top 5 Latina entrepreneurs in New Orleans by El Tiempo newspaper. Jeffrey A. Mitchell has more than 20 years of experience handling cases on behalf of injured victims. He was recently selected for inclusion in the 2012 edition of America’s Best Lawyers. He was also chosen as a 2012 recipient of Louisiana Super Lawyers. He was a finalist for the Lawdragon Top Attorneys in the Nation. Mr. Mitchell has achieved a legal rating of A.V., the highest rating for a lawyer by the Martindale Hubbell Lawyers Rating Service. He is also Board Certified to handle Medical Malpractice Cases. New Orleans Magazine has recognized Mr. Mitchell as one of the top attorneys in New Orleans. He has also received the Leadership in Law Award as one of the top 50 attorneys in New Orleans. All staff members of Mitchell Sanchez, speak fluent Spanish and English. Mitchell Sanchez is committed to providing the highest quality legal services to meet the needs of the Latino community. The attorneys and staff members of the firm actively participate in community events including festivals, soccer tournaments and providing free legal help desks at local events. If you or someone you know has been injured through the fault of another, please call the Mitchell Sanchez Firm for a consultation. All inquiries involving personal injury matters are FREE.